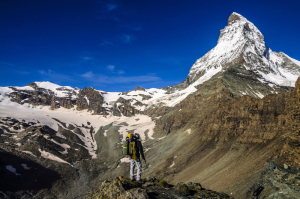 Are You Prepared for the Data Climb? Big Data. It is a term that has been around for years now, yet surprisingly most enterprise environments lack a cohesive Master Data Management (MDM) strategy to tackle the challenges Big Data creates. Successful businesses operate in a more technology- and data-driven world now. Properly optimized businesses use data as their decision-making life-blood. It is important to understand that starting an MDM initiative for your enterprise does not just occur overnight, it requires a lot of strategic planning to ensure long-term success. By now, I am sure you've heard of the Internet of Things (IoT). It’s the new summit on the horizon of technology where most of our everyday devices (washing machines, thermostats, fitness trackers, automobiles, etc) will be connected to the Internet. These Internet-connected devices will enhance our lives tremendously while collecting data on our habits, lifestyles and buying patterns. With the rise of IoT, the world’s digital footprint is forecast to DOUBLE every two years. Stop and think about that for a moment; the world’s digital footprint DOUBLING every two years. Add to that another interesting stat – 85% of this data is going to be strategically valuable to business. If you do not have a plan to manage and utilize this data, your data management problems are going to double. Get started on your Master Data Management plan today with three simple steps. 1. Recognize data as a corporate asset across the organization, from the C-suite down. Bring together all of your existing data. 2. Your data management plan must have a long-term goal but also be flexible and adaptable to real-time situations. 3. You must have an enterprise-wide Data Governance protocol. Specific standards, policies, business processes and roles are all needed to ensure that your data management strategy is being optimized. 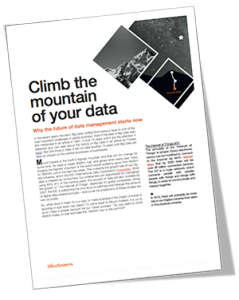 Download our white paper “Why the Future of Data Management Starts Now”.